Are you making choices to keep your business fit for the future? Contributors: Gary Macnamara (Previous executive director IOPSA), Debbie Donaldson (You’re Worth it! ), Steve Brown (Operations Manager IOPSA). 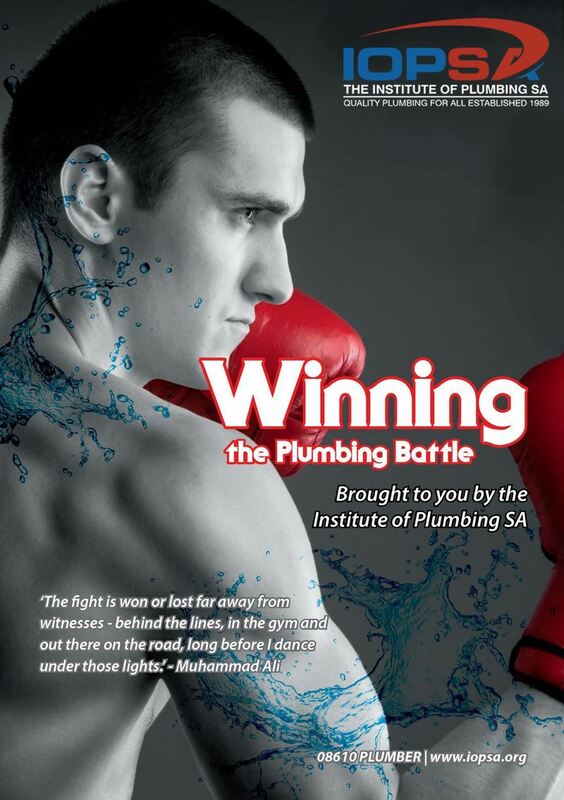 We live in challenging times and ensuring your business is sustainable in the long-term can leave you feeling like you are preparing for a ‘world boxing championship every month end’. However, building your fitness for the future is all about what you do consistently behind the scenes - way before month end and way before you find yourself in the spot light servicing a customer. We often complain about how difficult the plumbing industry is and how much better it would be doing something else. The saying that the ‘grass is greener on the other side’ is not unfortunately our exclusive ‘right’. The fact is, all industries and countries have their own difficulties and challenges, especially in the current political, economic and social turmoil we find ourselves in. HOW ARE YOU GETTING YOURSELF FIT FOR THE FUTURE? How much of your personal mind set creates stumbling blocks in solving challenges? Are you supporting and stimulating yourself with options? Exploring all possible opportunities to implement solutions to your business challenges or are you stuck and a little overwhelmed at this point? When last did you step back, reflect and brain storm your options alone, with other entrepreneurs or with a mentor? How hungry are you to surround yourself with solution seekers rather than people who will agree with how hard business is? Take the plunge; treat yourself to the gift of stepping back and looking at where you are and where you want to go. There is a simple concept referred to a learned helplessness – where we are prevented from avoiding some repeatedly negative stimuli – we eventually reach a state in which it we become passive and depressed because we believe there is no action we can take to avoid the aversive stimulus. Essentially, we give up trying. Whilst this sounds extreme, even a little of this at a personal level can play with our motivation… So how about building on the gift to yourself? Shift from ‘give up’ exercises to ‘I’m building solutions that make sense’ especially if you choose to give yourself a fighting opportunity to be fit for the future. If you can shift your thinking even a little bit, you can shift from blaming yourself and others to learning from your past decisions. That old saying “we can’t change our outcome if we keep doing the same thing” may start to make sense? How about lawlessness? We get upset with others because they drive through a stop street or when taxis go through robots, but yet we ourselves drive through stop streets and robots. Sometimes we prefer to pull the wool over our own eyes. We make ourselves believe we are making the right choice for short- term gain when we know this is a temporary fix and won’t last long.